April 18th at 9am: Coffee with a Cop -- Cross Plains Village Hall. Come meet with some of the local officers, discuss any issue, ask any questions, and enjoy this new community event. April 20th at 10am: Round the kids up for the annual Easter Egg Hunt at Baer Park. Kids are broken into age groups and promptly at 10am, they are sent on their way to find their eggs. Don't forget your picture with the Easter Bunny!! May 2-4: Trout Days and Village-wide rummage sale. Let's be safe and courteous! May 27th: Memorial Day Parade at 11am. Parade starts at Park Elementary and follows Park Street to American Legion Park. Stick around for the memorial service that follows, as well as the annual chicken feed! Welcome to the Cross Plains Police Department website. 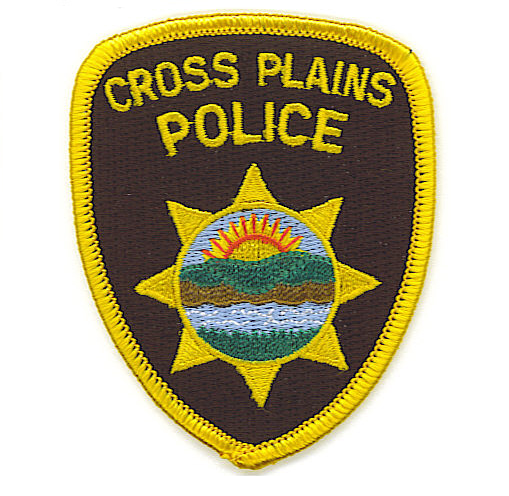 Our website is just one tool the Cross Plains Police Department uses to communicate and educate the Village of Cross Plains and its visitors. You will find links to be introduced to officers, programs the police department is involved in, information regarding local ordinances and state statutes, as well as a variety of contact methods that suit the needs of You, our visitor. We are a mighty staff of six personnel: Chief, Lieutenant Detective, four Officers and our Administrative Assistant, who keeps our agency running smoothly, and also serves as the Municipal Court Clerk. While we operate with six sworn officers, we try to maintain 24/7/365 staffing, responding to calls for service in the Village of Cross Plains. Police, Fire and EMS services are dispatched through the Dane County Government Public Safety Communications. For questions regarding police reports, municipal citations, and other administrative questions; the business office is open 7:00am to 3:00pm, Monday through Friday and can be reached at 608-798-4100. Please note: in the event of an emergency, dial 9-1-1.